For trail hunting lovers, having the right camera is crucial. It will help you to detect the game, study their behavior, and anticipate their next move. However, with the overwhelming choices in the market, it can be easy to make a mistake. When choosing the right camera, you should consider sticking to a reputable brand. In that way, you can rest assure that the build quality, durability, and features of the camera is of high quality. Aside from that, reputable manufacturers are known for offering the best customer service. Let’s take a look at the Campark manufacturer. 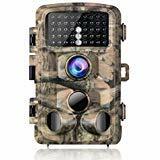 This trail camera company was established last 2008 and had been providing a broad range of high-quality game cameras for years. The company dedicates themselves in giving the best of game cameras for hunters and travelers alike. 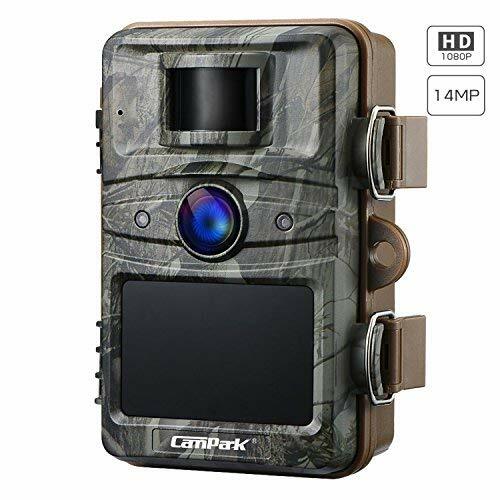 Now that you know about Campark, below is a list of the best game cameras from the manufacturer. The following models are ranked based on their durability, features, and build quality. When hunting in the forest, taking clear images and sharp videos is crucial. 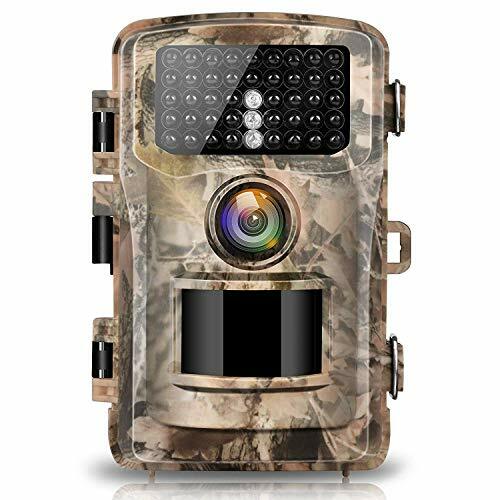 This game camera is one of the best-selling models from the manufacturer. Aside from it’s suitable for customers on a budget, it also has the features that you need when you embark in the forest. First, this model can produce a 14MP resolution of pictures and record 1080P HD videos. Daytime photos are bursting with details and colors while nighttime images are clear and crisp. The resolution quality of these photos will allow you to take a look at the wildlife without stepping out of your house. It utilizes invisible infrared technology that allows the camera to take good night vision photos. The camera features 42 pieces of enhanced infrared LEDs that ensure you don’t startle the animal with the bright flash when taking pictures. This device also features three passive infrared sensors, and the high-sensitive detector will alert the camera of even the slightest movement within the perimeter. In that way, you can take the best of action even with wary animals. For its trigger speed, the camera has enhanced to 0.3 seconds only. As soon as it detects motion, it will just take 0.3 seconds before the camera snaps the picture. Even at night, rest assured that you’ll be able to capture exciting moments of the game. The waterproof and robust construction of this device assures you that it will continue to operate even with the harshest weather. Its 120-degree wide angle lens allows you to widen the range of your detector, increasing your possibilities of capturing the best shots of the game. Lastly, this camera is easy to operate and features multiple applications. Unlike other models, you don’t have to spend much time figuring out how it works and how to mount it when you’re on the field. It is also an excellent alternative for your home security camera with its reliability and durability. Buyers can enjoy a 12-month warranty upon purchasing the product. This model is one of the upgraded versions of the Campark and best known for its exceptional IR technology. It is suitable for customers who pay extra attention to the triggering distance and IR filter of the camera above anything else. The camera can produce images of 14MP resolution and can record FHD videos of FHD videos. The details of both the video and the image will give you precisely what you need to study for your big game later on. The colors of daytime photos are vibrating with colors, and the black-and-white images are sharp and not grainy. As mentioned, its leading IR technology and 20M triggering distance is the pride of this device. It has an automatic IR filter, allowing you to capture the natural behaviors of the game with the help of its infrared flash illumination technology. This device features 44 pieces of LEDs. In that way, you can discreetly take pictures and record videos of the animals without them being aware of frightened. Compared to the previous model, the trigger speed is slightly slower with its 0.5 seconds. Once it detects motion, it’ll take 0.5 seconds for the camera to react the snap the pictures. It also has low power consumption — this game camera, when on standby mode, can last up to six months. It is designed to operate even in the harsh weather with its IP66 waterproof construction. The bulky plastic casing protects your device from damage that can be caused by both dust and water. This is an ideal choice if you’re planning to install your game camera in a tropical rain forest or a desert, where the climate is harsh and extreme. The package contains mounting strap and threaded strap. It takes only a few minutes for you to install the trail camera. There are various functions that you can rely upon such as date, temperature, and time stamp. Aside from the basic features, it also has a real-time replay, hybrid mode, and interval recording. Buyers can enjoy a one-year guarantee upon purchasing the product. This trail camera is designed for customers on a tight budget. Not all people are willing to buy high-end game cameras, especially if they are still on their first stages and they are still experimenting. 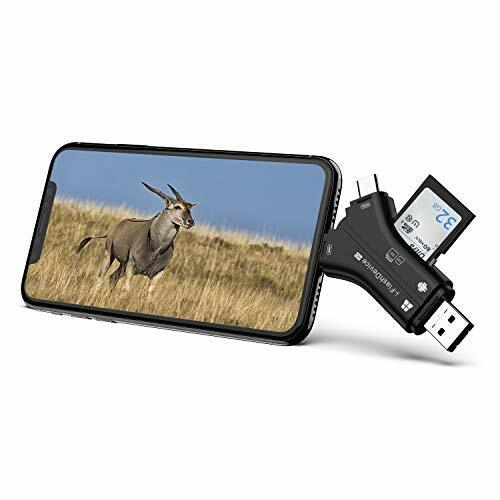 Despite its low price, rest assured that it has all the essential features that you need to capture stunning images of the wild. The camera can capture images of 14MP resolution and record videos of 1080P. The colorful, vibrant daytime images and videos with sounds will allow you to study your target animal. You don’t have to deal with grainy and wash-out pictures thanks to its high resolution. Thanks to its upgraded technology, its high trigger speed, and long trigger distance will allow you to capture breathtaking action of the wild in your camera. Even if the animal is at up to 22 meters away, its sensitive detector will automatically signal the camera to snap pictures or record videos. It is equipped with 42 pieces low-glow infrared LEDs that will allow you to capture images of the animals without them knowing. Similar to the previous model, it also has an automatic IR filter and night vision up to 75 feet or 22 meters. Its 120-degree full angle detection allows you to maximize the coverage area of the camera. This device has an integrated 2.4-inch TFT LCD screen. In that way, you can preview your images while on the field or adjust the settings when necessary. The camera is powered by eight AA batteries that can last up to eight months in a standby mode. The IP56 waterproof and solid construction of the device ensures that your camera is well-protected from harsh elements of nature. It also features three multi-shot, interval, sensitive motion detection, timer, and each photo has a stamp of its own. The camera + video recording of the device allows you to capture images and record videos of the animal once it has been detected. The Campark manufacturer offers 24-hour aftersales services to assist you upon purchasing the product. When you’re on the field, viewing the pictures that you’ve taken on your game camera can be a hassle. Only high-end trail cameras can send photos directly to your phone. But if your device does not have that feature, you can just invest in an SD card viewer. Take a look at this Campark game camera SD card viewer. It can be used in almost all devices such as IOS, Windows, Android, and Mac OS. You can easily connect this SD card viewer to your gadget without difficulty. Not only that but it also supports all types of cards. You can use both SD card and micro SD card. Don’t worry because it’s not mandatory that your game camera should be purchased from the same manufacturer for the device to read and work. It also features an integrated microprocessor, speeding up the reading. Once you insert your SD card, the viewer will automatically read the files. In that way, sharing and viewing both the images and video clips will take less than a minute. This SD card viewer is lightweight and built to last. Its plug-n-play mechanism requires no Wi-Fi or internet connection to function. All you need to do is insert the card and start viewing, sharing, or deleting your files. The Campark offers professional aftersales services and a 12-month warranty upon purchasing the product.